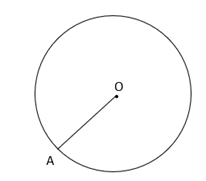 A line segment having one end point on the circumference of the circle and other end point at the center of the circle is called the radius of the circle. Find the radius of the circle whose circumference is 176 cm? Find the radius of the circle whose circumference is 440 cm?